In early July 2018, the Law Commission of India, spearheaded by Dr. Justice B S Chauhan, released their report titled "Legal Framework: Gambling and Sports Betting including in Cricket in India", which concluded with a recommendation of legalising sports betting and gambling in India. If you legalise betting on sports, not only will you destroy sports, but turn every ‘paan (betel leaf) shop’ of this country into a ‘juye ka adda’ (gambling den). It is important to note that the Law Commission later clarified that it would prefer to implement a complete ban on betting and gambling if it was plausible that it could fix the issue. However, they did not believe that this was very likely, hence the alternative would in that case be better: regulate gambling in India is the better solution. Since then, not much have happened. 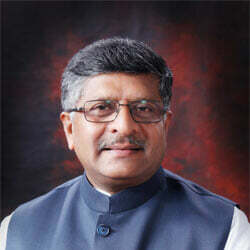 The Union Minister for Law & Justice, Ravi Shankar Prasad, has stated that the report is 'under consideration of the Government', but there has not been many statements of note since then. One article I read was this one by S Kalyanasundaram. It is titled "Don't 'bet' on gambling", and the writer goes on stating the conclusions presented by the Law Commissions report, then giving his thoughts in 5 short paragraphs to end it. No links or sources referenced, just his subjective thoughts on the matter mind you. A second article, 'Bet on quitting gambling', written by Ashish Chauhan, which is an article that details Dr Ranedra Ananad's first hand experience with gambling addicts and the treatment of them. It should come as no surprise that a website title 'OnlineCricketBetting.net' is in favor of regulating online betting, but I want to make expand on our stance of pro-legalisation and explain why we feel a bet on gambling is the right one. Or in other words, why it is +EV. How would allowing more betting somehow make it less likely of match fixing happening in sports you might say? The reason for that is by only having the betting market underground, there is very hard to observe and detect market manipulation done by match fixers. It is estimated that as high as 85 percent of the global betting market is done in unregulated markets. Having a regulated and visible betting market makes it easier for the authorities to keep a lookout for irregular betting patterns, and in turn help stop match fixing from happening in the first place. But won't they just bet on the black market or avoid the regulated operators? That is an alternative, but if the regulated markets are functioning well, then the black markets will quickly dry up and not be of interest for the match fixers anymore. There is little evidence to support the notion that banning gambling in India and making it a criminal offense is going to make it any less prevalent. Just look at the USA to see an example of this. Online gambling in the US has been illegal since the Wire Act of 1961 was put into place, but it was not until 2006 the UIEGA was passed and made it illegal to process transactions to/from offshore gambling companies. This practically shut down any chance of doing online betting with any security practical in the USA after that. Still, the online gaming market in the US quickly recovered and has grown steadily since, in spite of the governments eager attempts to curb it. The point here is that people will always find a way to gamble, even if the government or police tries to stop it. We have been doing it since the dawn of time, and are likely to continue doing so until the day we cease to exist. A common argument against legalising gambling is that if it were to be legalised, and thus more available to the public, the more problem gamblers we would have on our hands. Seems plausible, but does it actually happen like that? Bondolfi et al. (2008), where Switzerland saw a stable problem gambling rate during a ten-year period where access to casinos was greatly expanded. Abbott et al.  (2013), where Sweden had surveys between 1998 and 2009 that looked at past-year rates of problem gambling and found it didn't increase even though the opportunities for gambling did. Wardle et al. (2011), show no increase between 1999 to 2007 in problem gambling, although casino availability rose. Should note that there was a small increase between 2007 and 2010. This section isn't exactly a good argument for legalisation as it doesn't seem to show signs of curbing problem gambling. However, it doesn't seem to be a good argument against it either as an increase in gambling opportunities doesn't automatically lead to increase in problem gambling among the population. One of the bigger arguments for legalising cricket betting is the fact that the government could add a tax on the activity. This would make it so that some of the money would go back to the people of India, rather than in the pockets of criminals and the black market. Some estimate the illegal betting economy to be at Rs 10 lakh crore. With a simple 18 percent tax on this the government could end up with Rs 1.8 lakh crore in revenue from this activity. That would be a big help to the Union budget of India who had a fiscal deficit of Rs 6.2 lakh crore in 2018. Others are a bit more conservative in their estimates of the potential revenue to be gained from gambling taxes, claiming numbers in the range of Rs 0.12-0.20 lakh crore. 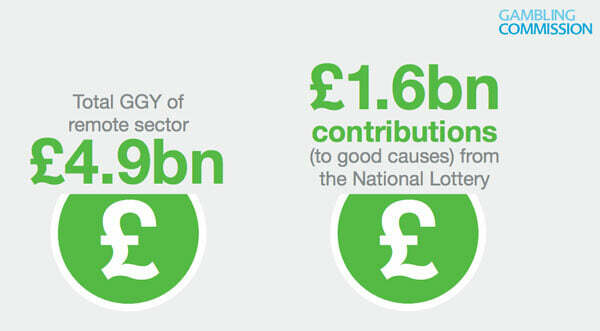 Not quite as much, but still a hefty sum that could have the potential to do much good. In the UK, a region which has been very liberal with gambling regulations for quite some time now, part of the profit the National Lottery brings in is poured back in to good causes. During the 2017-18 period in the UK, this amounted to £1.6 billion. In addition, the sector as a whole provided jobs to over 100,000 people, which in turn can provide tax revenue to the state and government. You can read more about this in the Annual Report 2017-2018 by the Gambling Commission. Although we have argued for legalising gambling in this article, we want to restate once again that we are of the belief that gambling is an activity people should engage in responsibly and within their means. Even with that said, we understand that it will inevitably have people abuse it and take it too far, no matter how many warnings we give out. Limit advertising for betting offers, free bets and similar promotions. Studies show that it increases betting volume for a subset of players. Add all regulated operators under one common register so that if players wants to exclude themselves from betting at one place, they are automatically excluded from all betting sites that operates in the same region. Limit gambling advertisements so that it does not get exposed as easily to children who are more prone to get tempted by commercials than adults. Set aside funds from the gambling revenue to fund programs to help people with problem gambling behaviour. This list is by no means exhaustive, and it is likely there are aspects that should be added to it, but these are just some of the issues we are aware of that comes with the territory of having legalised gambling in a region. To bring it all back with the our title of this post, "Consider the Odds Before you Bet", we feel that the people of India - and other parts of the world - should heed the call of the Law Commission in this instance. I understand that people would like to get rid of all the issues that comes along with gambling, but it has been tried before - and failed. Same as with alcohol prohibition and arguably the war on drugs. People are going to be seeking out these vices, whether we make it illegal or not. The best we can do is put in place safe measures to let people indulge in these activities and still be taken care of if they should take it too far which some are bound to do at times. It is not the best possible result, but it's the best result possible, and we should take the bet that has the highest expected value associated with it, and that is to legalise gambling to control the markets rather than let our poorest and most unfortunate get fleeced by the black markets and criminal organizations.